I simply don’t have the space for more culinary herbs. But I am working on a plan. I’m thinking of getting permission to garden my neighbour’s backyard and share some of the herbs and vegetables with him. But that’s still in the idea stage. But if you do have room for an entire herb and vegetable garden then count yourself lucky. You can add spices to your cuisines by using culinary herbs. And you have a wide range of culinary plants to choose from. Angelica is a perennial herb (meaning that a plant can survive for more than one year). 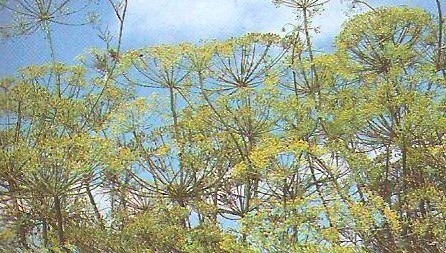 In fact the angelica herb plant really springs up on the second year and reaches heights of 6 to 8 feet tall. They are best sown from their herb seeds and produces a white flower (which is similar to the Dill herb) when it matures. After flowering the herb dies. The young leaves tastes a lot like celery and are great in salads, stock and roast. Their stems are also candied and eaten as a herbal sweet. 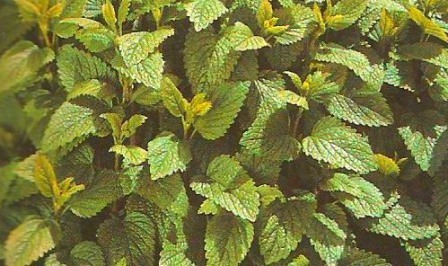 Lemon balm is also known as sweet balm and the young leaves are lemony-mint flavoured. They grow 2 to 3 feet tall and prefer soil that is damp, fertile and shaded. They are also runners and spread aggressively. So if you’re going to grow lemon balm you’re going to have to monitor the growth. I also advise that you keep harvesting the herb while it is young. This prevents the plant from flowering and going to seed. If this happens the herb looses its flavour. Lemon Balm makes an exquisite herbal tea when hot and is quite refreshing when iced. It is believed to relief headaches. Basil is quite easy to grow and is considered to be a top herb. Click here for more on how basil is grown. Basil is great for Italian pesto and goes well with tomato dishes. Bee balm (like the lemon balm) is lemony and minty in flavor. It also spreads like a runner and has to be monitored. It prefers soil that is moist, rich and shaded. It attracts the beneficial insects like bees and other animals like the hummingbirds. So they assist in pollination and keeping your garden going. They’re also good in herbal tea and fruit salads (but they should be minced first). Borage is easy to grow and also attracts beneficial insects like bees. Their leaves taste a lot like cucumbers and are used as garnishes for salads and cool drinks. These prefer to be sown as seeds in soil that is not too fertile in a partially shaded site. This is a delicate annual herb (annual meaning it survives only for 1 year and then dies) and grows up to 2 feet tall. Chervil is easy to grow in poor soil as long as the plant is watered regularly. Leaves should be picked young to ensure that they don’t loose their flavour. Dill is also an annual herb and ideal for a culinary herb garden. You can identify it by its feathery leaves, yellow flowers and pickle-like taste. It is best to grow dill directly in the garden from seeds while maintaining the soil’s moisture. Fennel is another plant for your culinary herb garden. It also resembles the dill herb plant (see above). 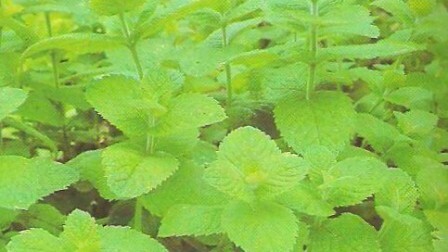 It’s best to plant this herb in an area that experiences full sunlight and not be disturbed or crowded by other plants. The herb can be harvested when it is young and tender. Then you can feel free to use them in your salads, sauces, and fish preparations. 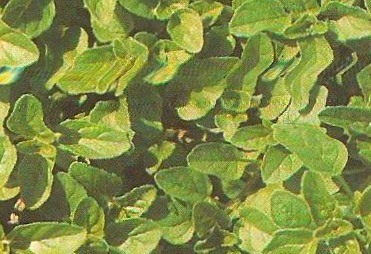 Marjoram is a borderline herb in terms of being annual or perennial. That’s why most experts agree that the plant should be replaced every 2 years in your vegetable garden. Marjoram also prefers well drained soil and full sunlight. You can also dry the leaves of your marjoram herb to get the most out of the flavour. Mint is an aggressive herb. If given a chance it’ll spread and colonize your entire culinary herb garden. So it could be a good idea to grow these in containers to save time and effort. If you decide to grow mint in containers then ensure that they are watered regularly. This herb needs plenty of water. Also ensure that it gets lots of sunlight (they don’t tolerate shade). Mint can be added to your salad, sauces, teas and sweets for a boost in flavour. Parsley is a biennial herb (meaning it survives 2 years) and can grow anywhere. The best parsley is the Italian or flat-leaf parsley because it is stronger in flavour than its counterpart the curly parsley. Parsley usually lasts 2 years. It is on its second year that the plant flowers and becomes bitter. At this stage you should replace it and start all over again. Parsley seeds are also known to be slow to germinate. So let your local nursery do the hard work by sowing them from seeds. Then you can simply buy the starter plants from them. Thyme can be used with a variety of foods and are strong in flavour. So it’s best to add a few pinches at a time to your dish and taste to go. (The flavour of this herb is so strong that it can overpower your dish). So these are plants that you can grow in your culinary herb garden. I recommend that you try growing as much as you can in your culinary herb garden. Your family will thank you when they taste the improvement in flavour of your dishes and preparations.